Pro-lifers in Kansas were stunned on Friday to learn that state officials had destroyed key evidence in the first ever criminal prosecution of Planned Parenthood. Remarkably, the presiding judge has ruled that prosecutors have only until November 9 to show evidence justifying that the case against Planned Parenthood should go forward in light of the fact that this evidence, critical to the prosecution’s case, is no longer available. The Kansas City Star reported that pro-lifers in attendance were quite shocked by the news. Abortion opponents were so stunned by the latest revelation that they had a hard time articulating their reaction. “Unbelievable,” said Mary Kay Culp, executive director of Kansans for Life. The case against Planned Parenthood in Kansas involves 107 charges (.pdf) including 23 felony counts of falsifying reports. It began in 2003 when Phill Kline, who was the Johnson County District Attorney at the time, obtained evidence that Planned Parenthood had filed false reports on 23 abortions performed in which viability testing had not been done. When Planned Parenthood turned over their own copies of the reports, the data did not match the documents obtained by Kline. This would seem to indicate that Planned Parenthood had falsified their reports. Prosecutors believed that copies of the documents sent by Planned Parenthood to the state health department might reveal discrepancies and show that Planned Parenthood had provided false reports. Current Chief Deputy Johnson County District Attorney Chris McMullin reportedly issued a subpoena for those state documents in September in order to see if they matched those kept on file by Planned Parenthood, but on Friday, representatives of Planned Parenthood told the court that the reports on file with the state had been destroyed by the state health department. 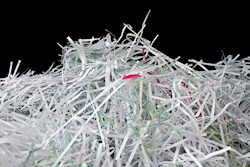 Their claim is that the reports were shredded in 2005 as part of a “routine” in which the state health department destroys documents after five years. In other words, all legal efforts to obtain the documents have essentially been futile since 2005, but no one from the state or from Planned Parenthood bothered to mention that until now. Since 2003, Johnson County prosecutors have been engaged in a legal battle with Planned Parenthood on the issue of false reports. In 2007, prosecutors directly sought to obtain access to records in order to substantiate that Planned Parenthood had provided false documents. If the documents were shredded in 2005 as claimed, why would no one mention it until now? This is rather convenient for Planned Parenthood. Further, considering that the investigation itself has been ongoing since 2003, it would seem irresponsible, at best, for state health department officials to destroy records relevant to the case. Operation Rescue, a pro-life group that has been following this case closely, reports that the destruction of these documents by state officials should not be seen merely as an act of failure in responsibility. Rather, it is consistent with what they saw as a propensity of the administration of then-Governor Kathleen Sebelius to take active measures to protect Planned Parenthood. Now that the documents sent by Planned Parenthood to the state have been shredded, prosecutors have a far more difficult path ahead of them to make their case. Given that the judge has only given prosecutors a matter of days to show that the case should go forward, it could be that the case against Planned Parenthood in Kansas will be thrown out. Johnson County prosecutors say that they are going to use the short amount of time the judge has given them to seek witnesses who may be able to shed light on what goes on behind the closed doors of Planned Parenthoood’s abortion business in Kansas. Felony convictions in this case could have a profound impact on Planned Parenthood’s ability to Title X funding as compliance with all state and federal laws is required under Title X provisions.